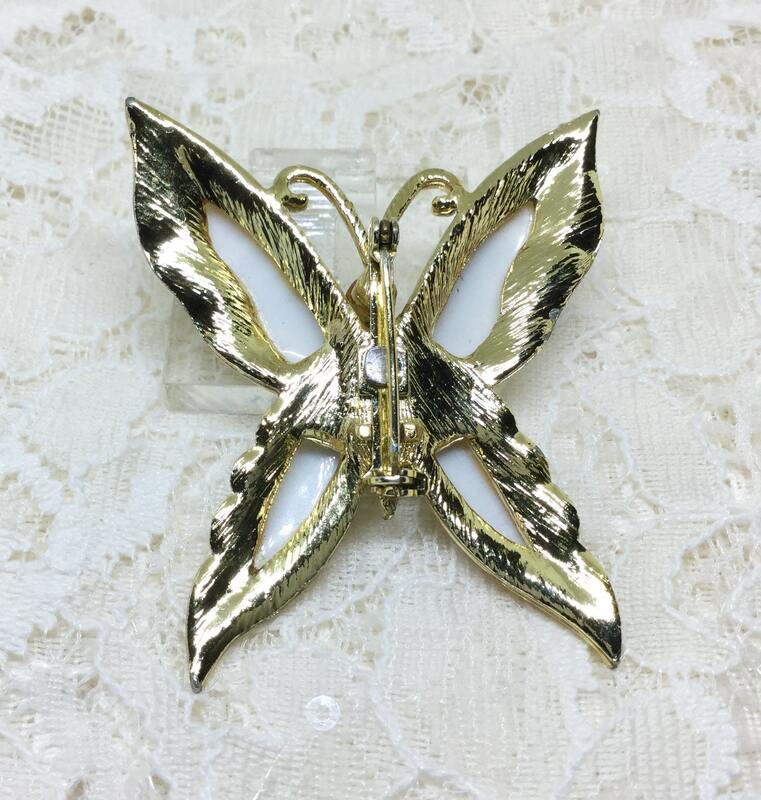 This is a wonderfully unique vintage goldtone molded white lucite wings with black enamel outline design. 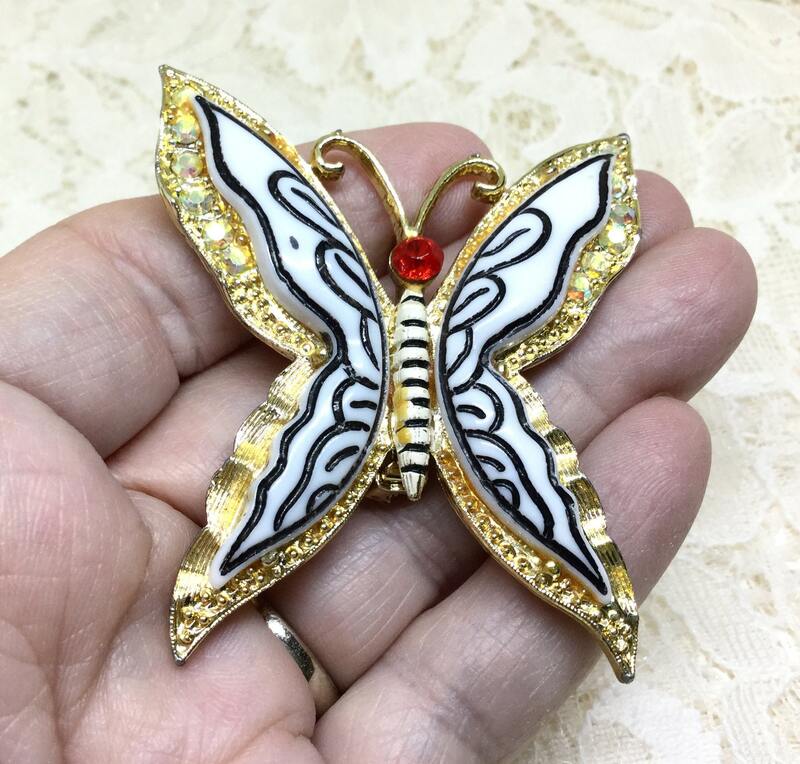 The wings are outlined in textured and dimensional gold tone with a row of AB rhinestoneson the outside of the two upper wings. 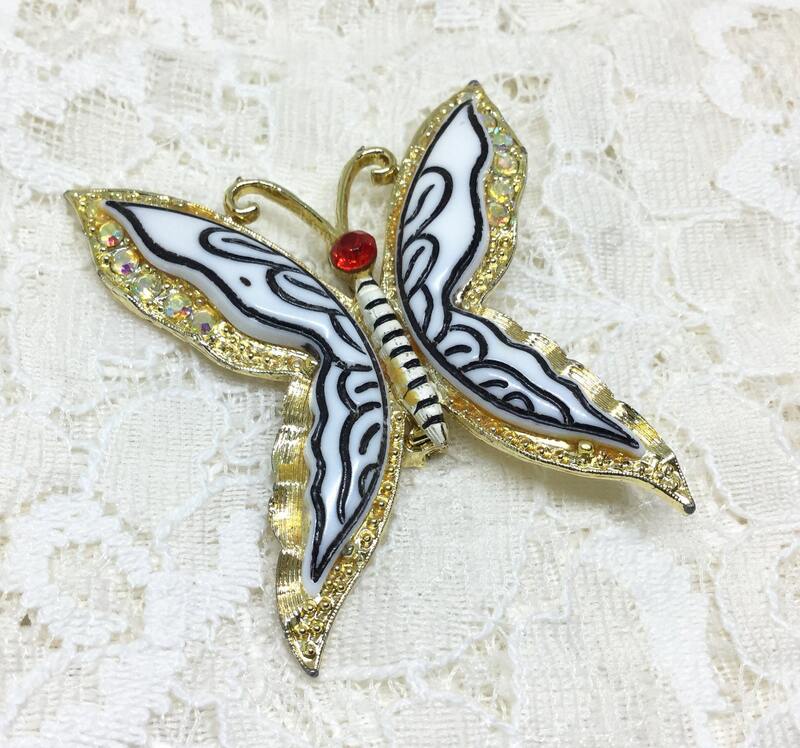 The body is ridged white enamel with black enamel stripes. 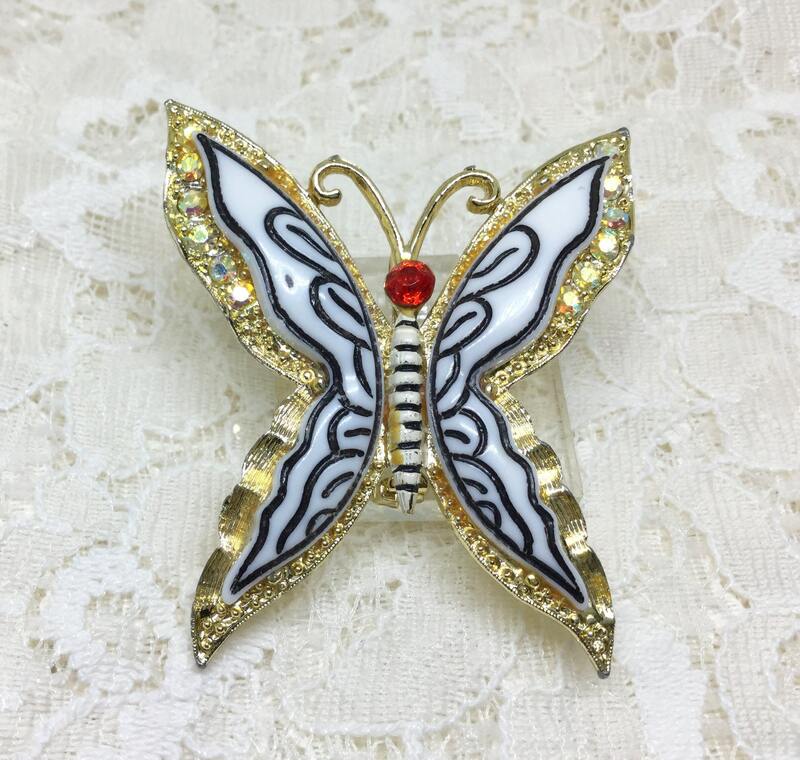 The head is a red rhinestone with goldtone antennae. 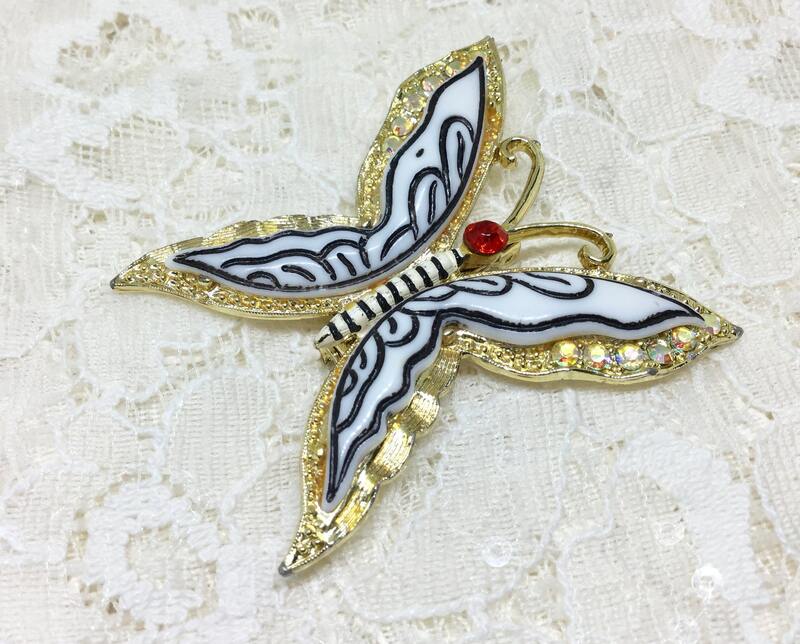 The back is in great condition with some play in the pin rivetbutworks smoothly and securely. 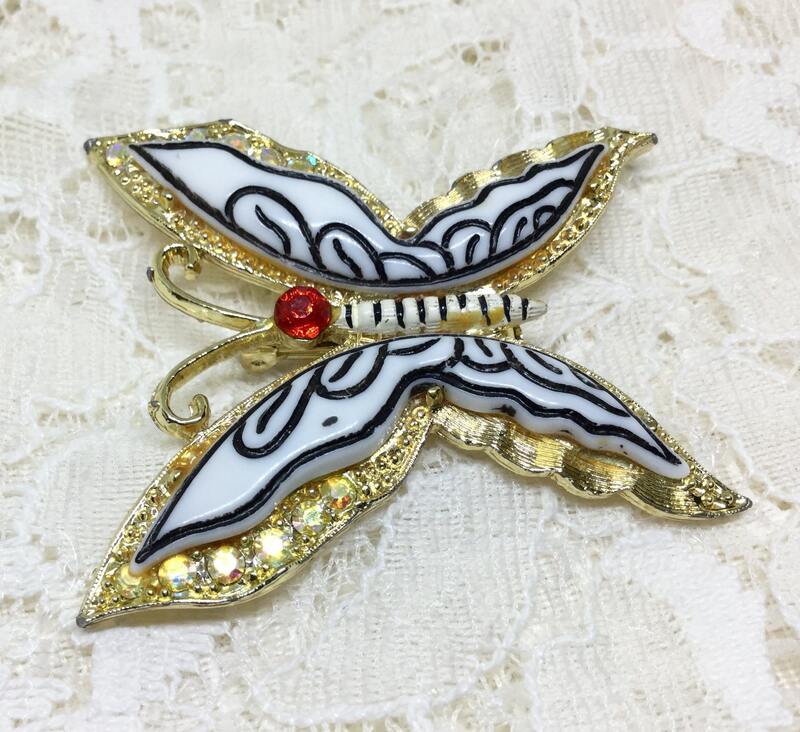 This is an awesome unique butterfly brooch that will be a great addition to your spring and summer sweaters and jackets!